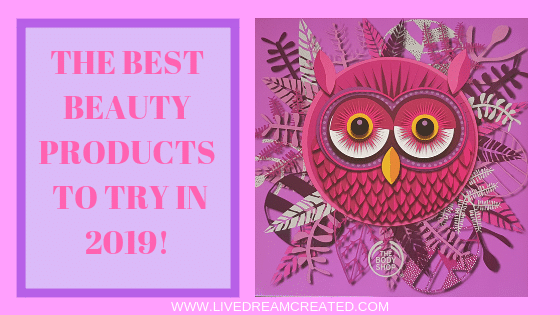 The Best Beauty Products for 2019! The best beauty products for this year! The best Gift I received for Christmas! Christmas is the best time of the year. It’s the season of giving, of hope and peace. It fills our hearts with love and makes us feel happy and hopeful. A season of giving without the expectation of receiving! Christmas presents, in my family, stopped a long time ago. We just stopped giving gifts to one another and kept it simple by giving the younger kids gifts only. Well this year I decided I would buy myself a gift for Christmas and I had my heart set on a specific gift! I thought I would treat myself for once! So I went out to buy a beauty advent calendar! I saw these a few years back and wanted to buy one but I could’nt find any here in Cyprus. So this year I started early on to look for one. A couple of weeks before Christmas I went and asked around, but again I came to realise that the ones that I liked and were within my budget were not available in Cyprus. I couldn’t even order them to be shipped to Cyprus either! 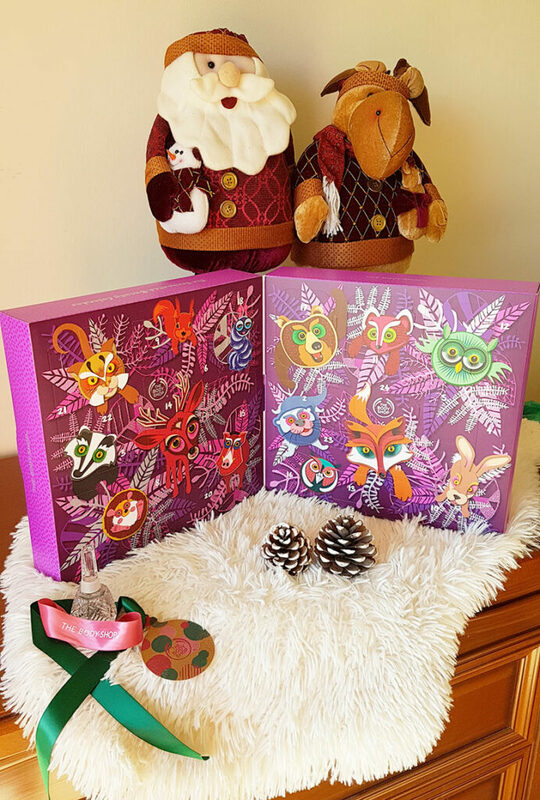 Who knew that these advent calendars were limited editions and could only be bought in-store or within the specified countries that were selling?! I tried to get my hands on a few by asking friends to bring them over but this did not work out. 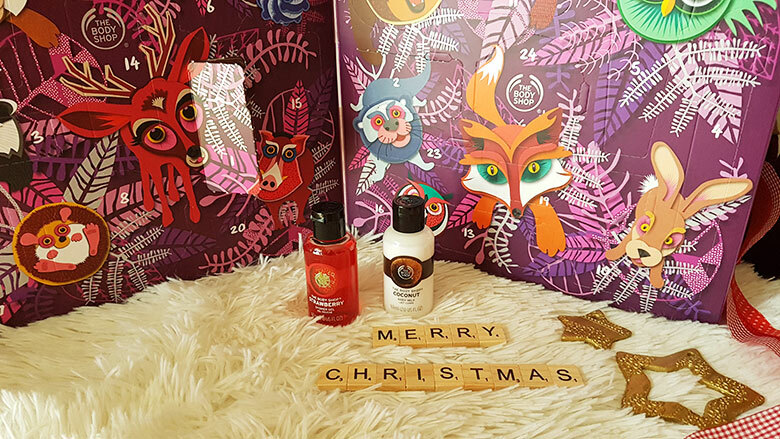 I also asked a few friends to ask around but just 1 day before the 1st of December I managed to get ‘The Body Shop Christmas Advent Calendar’. Olivia The Owl’ it is called and it has a theme of ‘The enchanted Forest. 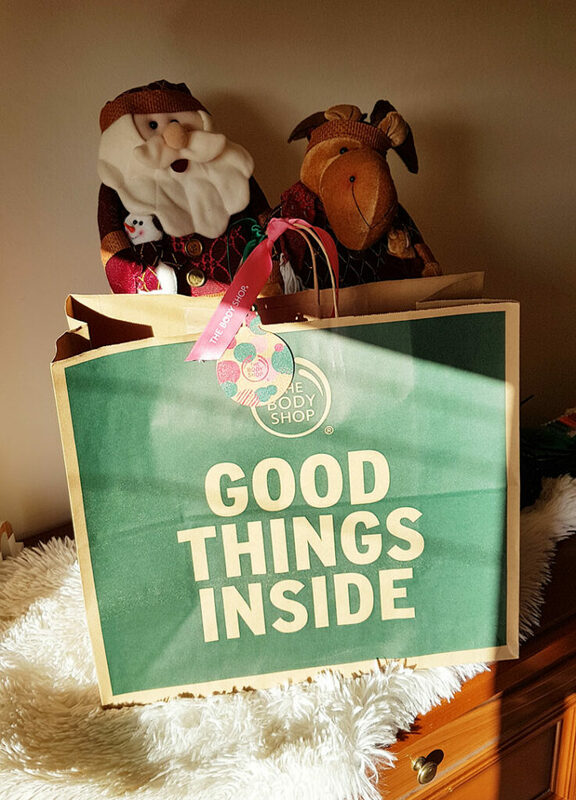 The body shop only just recently opened in Larnaca and I was shocked to see that they had beauty advent calendars. I called them up and had them hold onto the small one that they had in the shop. Therefore later that day I went and purchased my very own Christmas gift! I was super excited to finally have the advent calendar in my hands, and even more excited to find out what was behind each and every door! This advent calendar had a gift from the 1st of December all the way up to the 24th of December. This is a gift that every beauty lover will be in aw! Even I loved this gift and I am not an over the top beauty lover nor am I beauty influencer. But I certainly love all things beauty! I am always on the lookout for products that will take care of my sensitive skin and at the same time make me feel pretty. Well this gift had it all! Now if you add the amounts I have written next to each product you will get a total of €107. This is without the cost of the mask sachets as I couldn’t find the selling price of them. The amounts in red are approximation too as I couldn’t be 100% sure of the price. As you can see this purchase was indeed worth the money! As you know this post is not sponsored in anyway and I paid for this product myself. I just wanted to show you all what amazing products were in this advent calendar. I truly am excited to try out each and every one of these and well, I already did try some. The first item I used was the lip balm. Lip balms are a must for me. The watermelon lip balm that I got on day 3 was refreshing. While I believe it is more of a summery smell, I felt it was still appropriate for winter too. As for the hand creams I tried the Shea one and it’s awesome. If you know me my skin is very sensitive and dries out very easily. Naturally this product is very handy for me. I have it in my purse and use it daily. As for the other creams, I will soon get to try them out too! Although this post is coming to you a bit late, I thought it was best to inform you all about the calendar once I tried a few products too. Also I didnt want to open the calendar early in December just to see what is inside and do a review here on my blog. I wanted it to be an authentic process of opening each door on the day and seeing what was inside. Above all I wanted to be honest with the review of this gift and show you that it is indeed worth buying. Many of my friends, family and followers were asking me if you get your money’s worth and the cost of each item I wrote above shows that it does. This is an awsome gift idea for next year too. Next Christmas you can opt to buy an advent calendar as a gift. The most Ah-mazing thing about this awesome gift is that you get to try so many different beauty products in sample sizes without spending too much money. Most importantly you do not need to buy full size products only to find out that they are not for you. 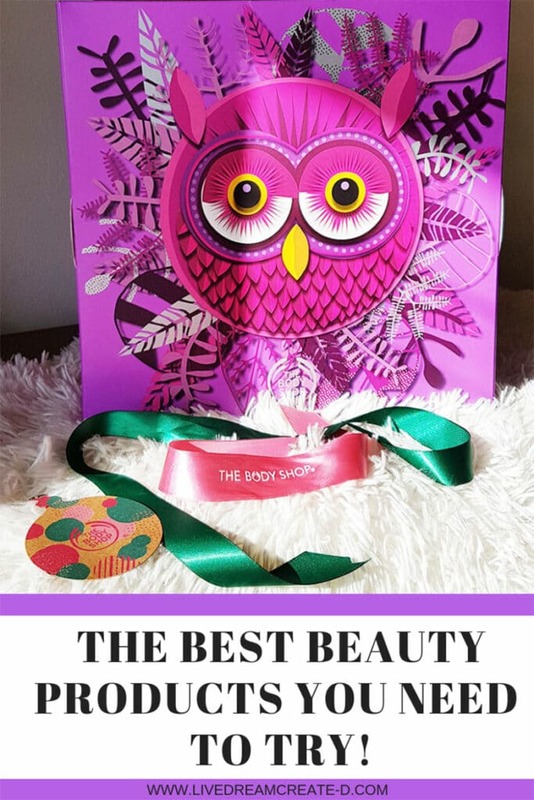 With this gift you can make anyone a beauty lover! Just like me! I have never heard of a beauty calendar until now! What a cute idea to sample products or to give as a gift before or after Christmas! The owl design is adorable too. It really is a beautifull gift idea. A friend of mine gave it to her goddaughter for Christmas and she is 20 somthing years old and she LOVED it! It was such a unique gift she said. She even found a few products that she will buy in full size too. I loved it too but I still need to try out the rest of the products!